Founded by the Romans, York grew up as a river port at the heart of the River Ouse and the River Foss. Based in North Yorkshire it is the traditional county town of Yorkshire that is actually somewhat drier and warmer than the rest of the region. Laying in the Vale of York it is bordered by the Pennines, North York Moors and the Yorkshire Wolds. With over 7 million tourists visiting the city per year; the wealth of the historic and modern attractions set York at the top spot for the UK’s most treasured cities. The main attraction in York is the Minister. This medieval cathedral displays both Norman and Gothic styles dating back over 800 years. Located exactly at the centre of the city it is surrounded by a 3 mile circuit of walls. Taking over 250 years to complete, it is a mammoth statement and signature for the city. 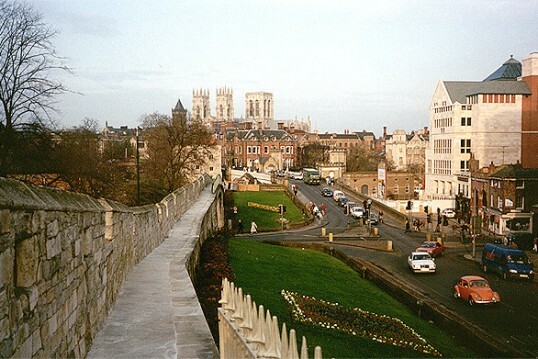 Nearly all properties in York are unchanged from medieval times. The Shambles is a neighbourhood of narrow streets also commonly known as the “Snickelways”. Walking along these narrow streets complimented by luxury shops highlights the beautiful traditions that York hold. Originally built by William the conqueror in 1068, York Castle is now accompanied by the Castles Museum. A circular grassed area between the buildings is known as the “Eye of York” and is the most prominent surviving part of the original medieval fortification- A great afternoon for all the family. Whether you’re a first time or regular visitor, couple or family there is loads to discover throughout this thriving city. The city holds festivals, events, and gardens and tours both walking and vehicle. With many designer shops and award winning restaurants the wining and dining and shopping experience will not disappoint. Each September since 1997 York holds an annual Festival of Food and Drink. Promoting local food production it generates up to 150,000 visitors over the ten day period from all over the country. In the Centre of York there is the York brand of “Bettys Café”. This has become a favourite nationally and is definitely worth a visit for afternoon tea. The Theatre Royal established in 1744 is another popular attraction with tourists. Producing annual pantomimes and various opera productions it is partner to a youth theatre and other educational departments also. Music is another loved art in York. The Academy of St Olave’s gives concerts regularly. Hosting broadcasts, competitions, concerts and festivals staff and students from the university also play a part in these performances. Due to York’s location it has always had a significant position in the nation’s transport system. Like most cities that were founded by the Romans, York is well served by long distance trunk roads. Sitting at the intersection of the A19 from Doncaster, A59 from Liverpool, and the A64 road from Leeds provides the principle link to the motorway network. York has been a major railway centre since 1839. Local stopping services connect York to Harrogate, Hull, Leeds, Sheffield and other intermediate points; it actually takes less than two hours to get from York to London. The University of York is based on the southern edge of the city with the building including departments including Management, Law, Theatre, Film, and Television. The city has two other major further education institutions. With over 24,000 pupils in the City of York Council area there are 70 local council schools. Their education services include community, voluntary controlled, voluntary aid and academy schools for children up to the age of 18.